What used to be a group of seven islands today has transformed itself into the “Maximum City” of Mumbai, the financial hub of India. Home to more than 15 million, people have always flocked to this city of dreams, the “Maya Nagri”. A living collage of paradoxes, this city embraces all, where the world’s first billion dollar home-Antilla exists in peaceful harmony with Dharavi, Asia’s biggest slum, where Vada Pav gives competition to fine dining restaurants; where colonial architectures jostle for your attention along with the modern ones and where local fakes are very hard to distinguish from the leading designer brands. 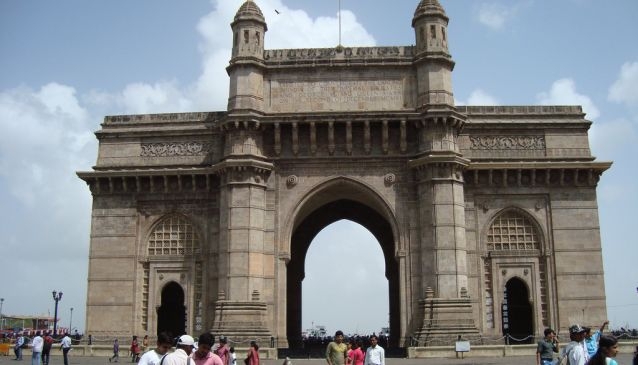 The Gateway of India is an iconic structure in Mumbai, a yellow basalt arch made in honor of the visit of King George V and Queen Mary in 1911, though the foundation of the structure was built in 1920. It was finally completed in 1924. The last of the British troops in India passed through this gate in 1948 signifying symbolically the end of the British Raj. A popular place to begin your Mumbai exploration, today it is a place to hang out, soak in the breeze from the sea, get yourself photographed and maybe feed the pigeons. Designated as a UNESCO World Heritage Site in 1987, the must-see Elephanta Caves are sprawled over an area of more than 60,000 square feet on the Elephanta island. 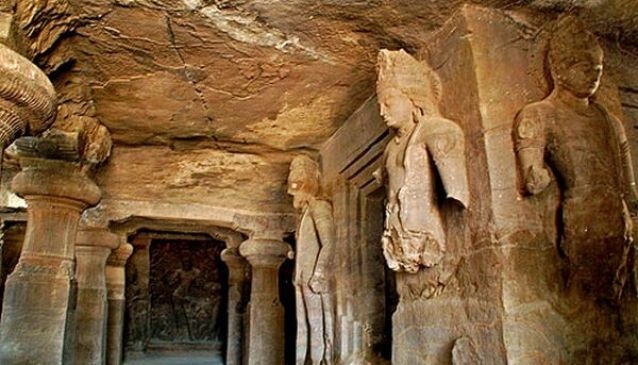 The temples in these caves, which are carved out of rock, have ancient origins, dating back to the 5th century. The most famous of these is the Trimurty, a 20 feet high image of Lord Shiva, which is a classic example of Indian architecture. Today, you have regular boats for the cave island from the Gateway of India. The experience in traveling on the dinghy though could be a little jittery for the thalassophobic. Location - 10km from the Gateway of India in the Arabian Sea. Situated in posh South Mumbai, this “C” shaped busy road is again a landmark of the city. 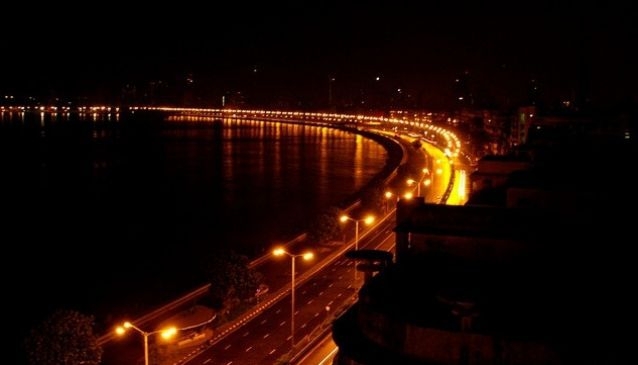 Also known as the “Queen’s Necklace” because of the way the road looks like during the night illuminated by the street lamps, Marine Drive has a wonderful promenade where people can take a leisurely stroll and enjoy the sea. A favorite place for couples enjoying each other’s company or a family outing, it provides a great sanctuary away from the hustle bustle of daily Mumbai life. A tonga ride on Marine Drive is a very unique experience for many families, especially with kids. It also has some of the best Mumbai hotels, restaurants and corporate head offices in its vicinity. Just north of Marine drive is the famous Chowpaty beach. Location - The 3 km drive links Nariman point to the Malabar Hill. 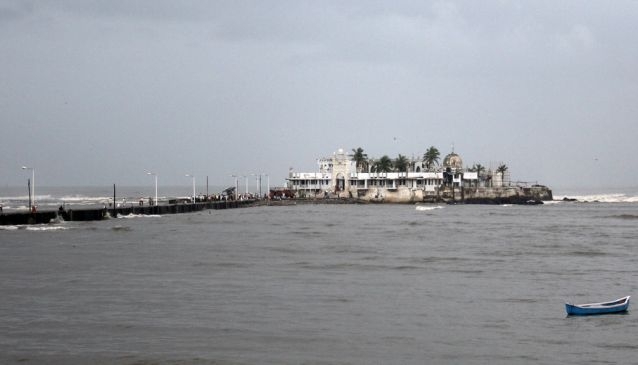 Built on an islet surrounded by the Arabian Sea, this shrine is a mosque as well as a tomb of Pir Haji Ali. It is one of the most recognizable landmarks of Mumbai and can be accessed only when there is a low tide. A walk on the causeway leading to the Dargah with sea on both sides is a divine experience. This experience is further enhanced if you are lucky enough to find Sufi musicians performing at the shrine. 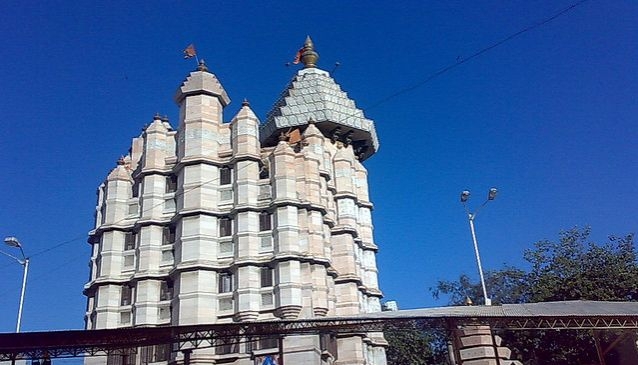 This holy place is visited by devotees of all caste, creed and religion. Location - Just off the coast of Worli, near Mahalaxmi railway station. 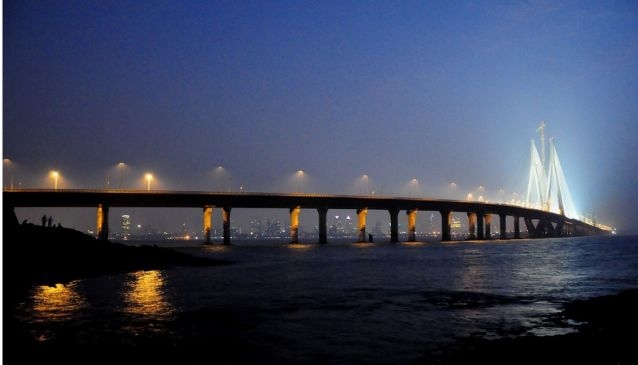 A modern day engineering marvel, this sea link, also known as the Rajiv Gandhi Sea Link, was built to ease off the traffic on the congested Mahim Causeway, the only road connecting the western suburbs of Mumbai to its central business districts. This first of its kind, a 5.6km long cable stayed bridge on open seas in India which carries 8 lanes of traffic, has gradually become a modern landmark of the city of Mumbai. The smooth drive and view from the bridge of the Arabian Sea is just breathtaking. Location - Connects Swami Vivekanand Road, Bandra to Khan Abdul Gaffar Khan Road, Worli Seaface in Worli, crossing over the Mahim Bay. Lined with stalls all along, Fashion Street is literally just that, a street lined with fashion. Tourists and shoppers can get all kinds of dresses here, from traditional to the very latest designs. Here, apart from clothing, one can also find shops selling shoes and costume jewellery. 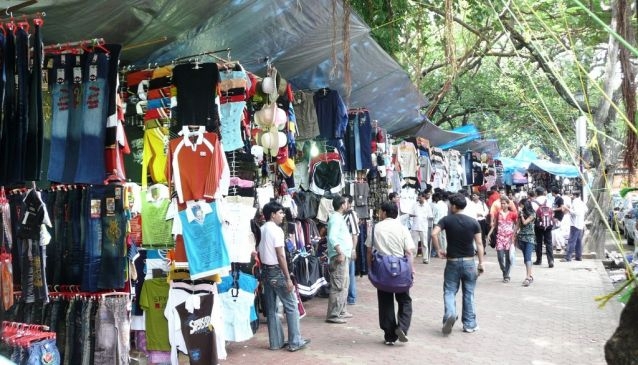 Most of the time you will find the Fashion Street filled with teenagers who come to grab the latest western wear and fake brands at cheap prices. Haggling and bargaining are the norm in this market, so if you want to buy at reasonable rates doesn’t forget to haggle. Location - Karmaveer Bhaurao Patil Marg, Marine Lines. 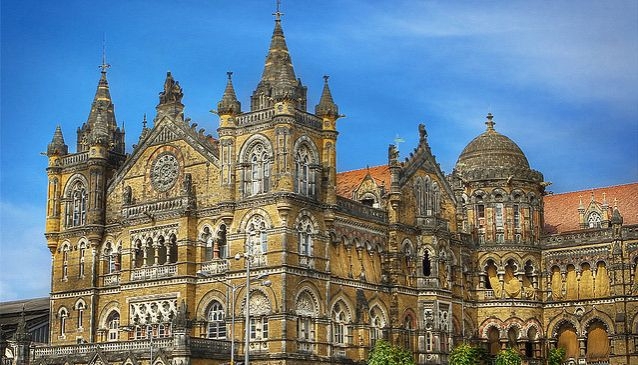 Previously known as the Victoria Terminus, this is the headquarters of the Central Railways. Built in honor of Queen Victoria in 1887 on the Golden Jubilee of her accession to the throne, this station is a UNESCO World Heritage Site. The design of this beautiful station, which is one of the busiest in India, is a wonderful fusion of Victorian Gothic and Indian architecture. The station has 18 platforms in totality, 7 for local trains and 11 for long distance trains. Location - Dr Dadabhai Naoroji Road, Dhobi Talao. 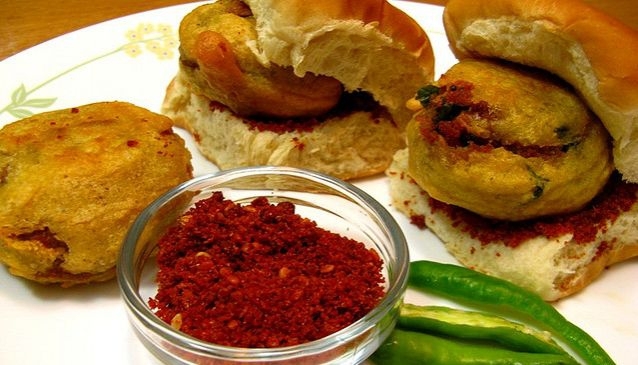 An Indianized version of a burger, this vegetarian dish made of deep fried mashed potato balls sandwiched between slices of Pav (small Indian bun) eaten with green chilly and chutney is the most famous fast food of Mumbai. This ubiquitous dish is devoured by the rich and the poor alike. Though a little spicy for the palate, rest assured, you have one and you’ll crave for another. Location - Available all over Mumbai. 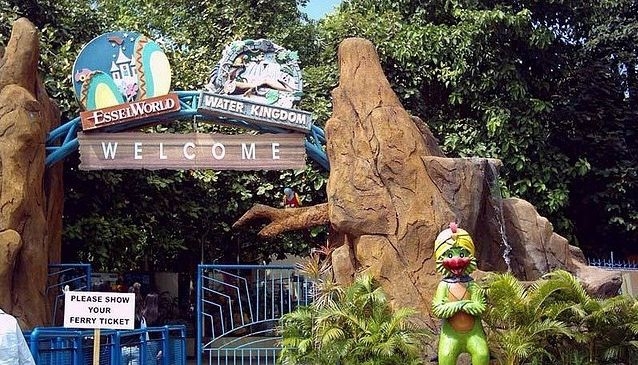 Located near the Gorai beach, Essel World is perhaps India’s largest amusement and theme Water Park. Spread over an area of 2,787,840 sq feet, it actually has 2 parks, the Essel World amusement park and the Water Kingdom theme Water Park which are visited by more than 1.8 million per year. Rollercoaster rides or fun water rides, this park has it all. It has something in store for everyone, kids as well as adults and hence is one of the most popular “fun” places in Mumbai.